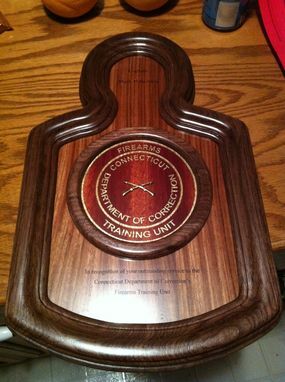 This plaque was made to honor Firearms instructors for their special achievements. 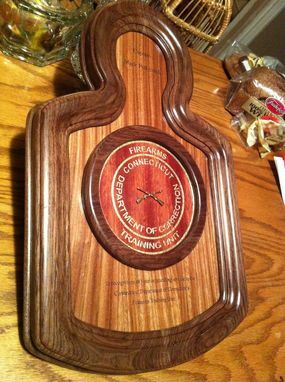 This particular plaque was made as a retirement plaque for a Firearms Instructor from the CT Dept. of Correction. 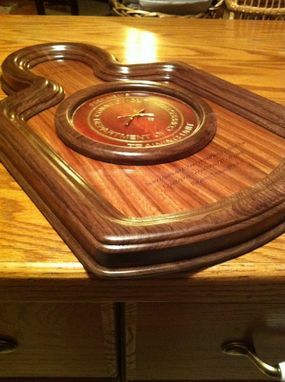 The frame of the plaque is made of walnut and it's design is an interpretation of a target silhouette. The backing is made from brazilian cherry and is laser engraved with any inscription. 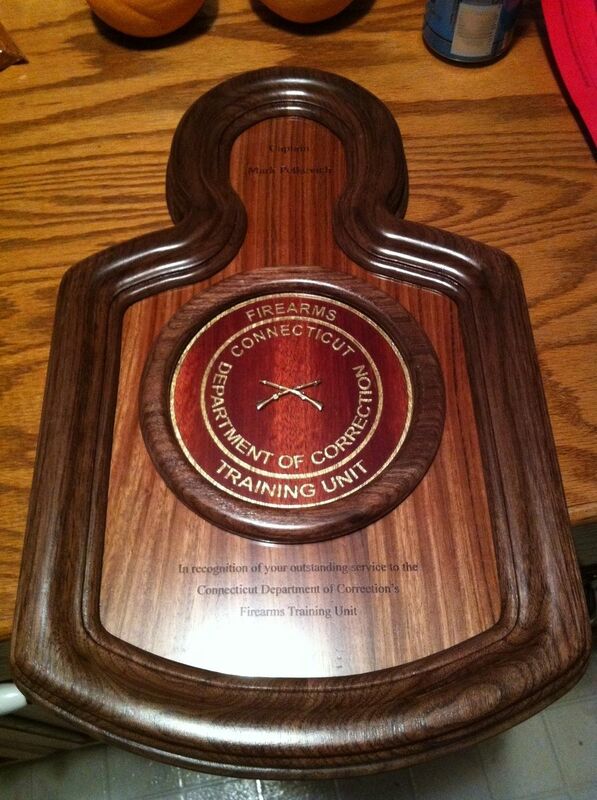 the inner medallion is made from paduk and is laser engraved to replicate the unit's (Firearms training unit) patch. 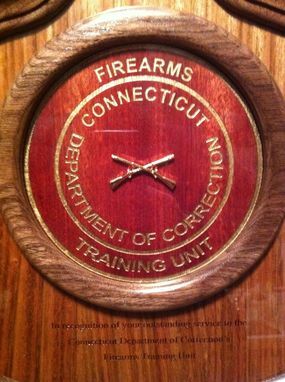 The center of the medallion features the unit's symbol (Crossed rifles) and is encased in a bed of clear epoxy.